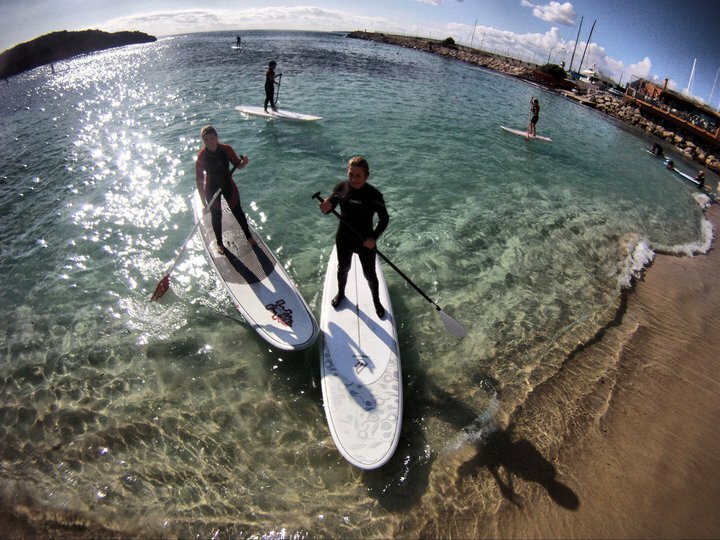 Stand Up Paddle of Paddle Surf is one of the most complete sports because a several number of muscles are trained. 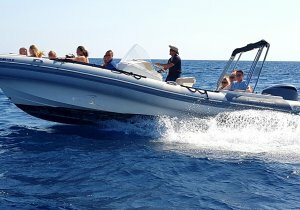 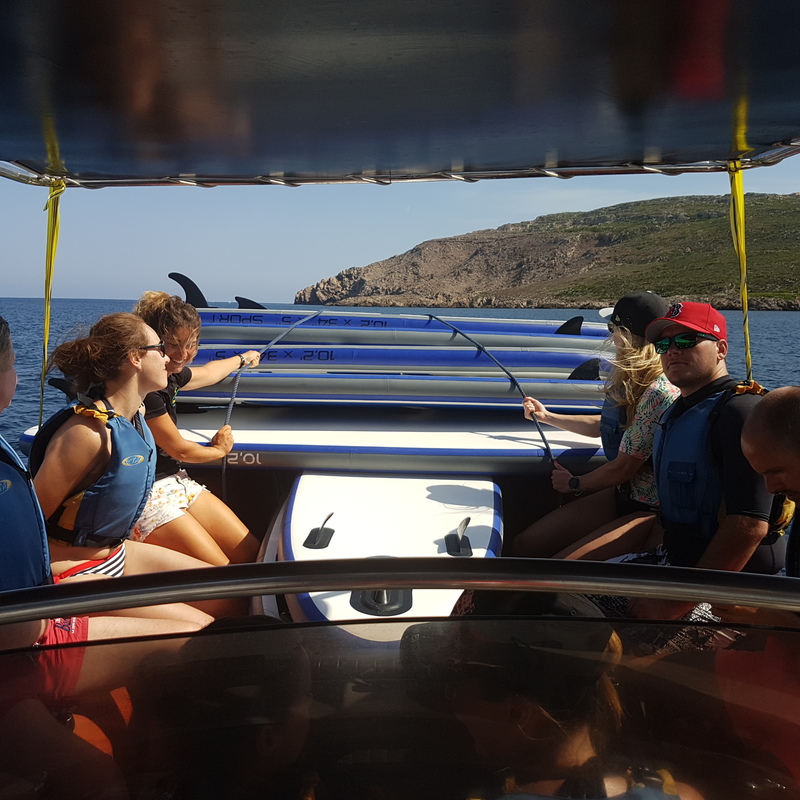 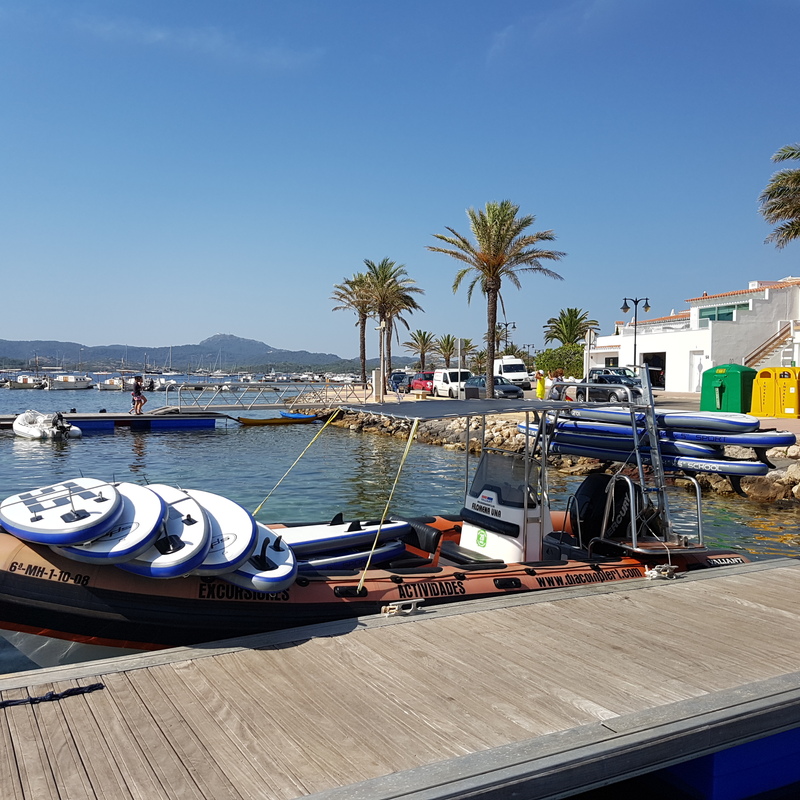 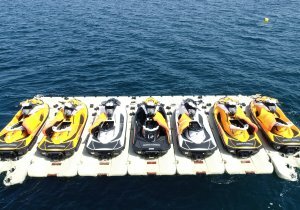 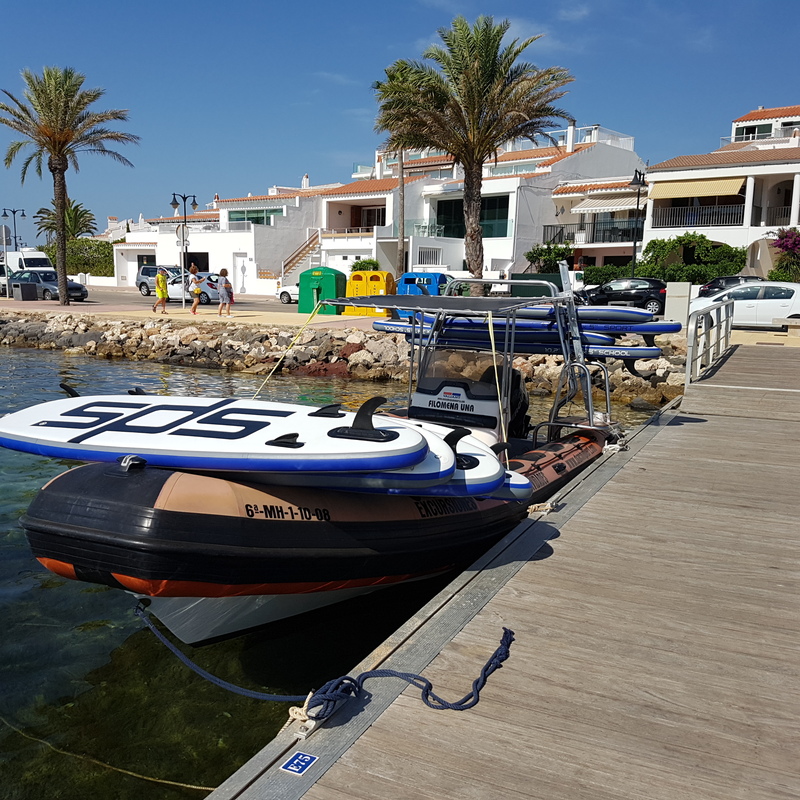 Going out our base at Fornells bay by boat to the cliffs of noth coast and going inside some caves of the area. 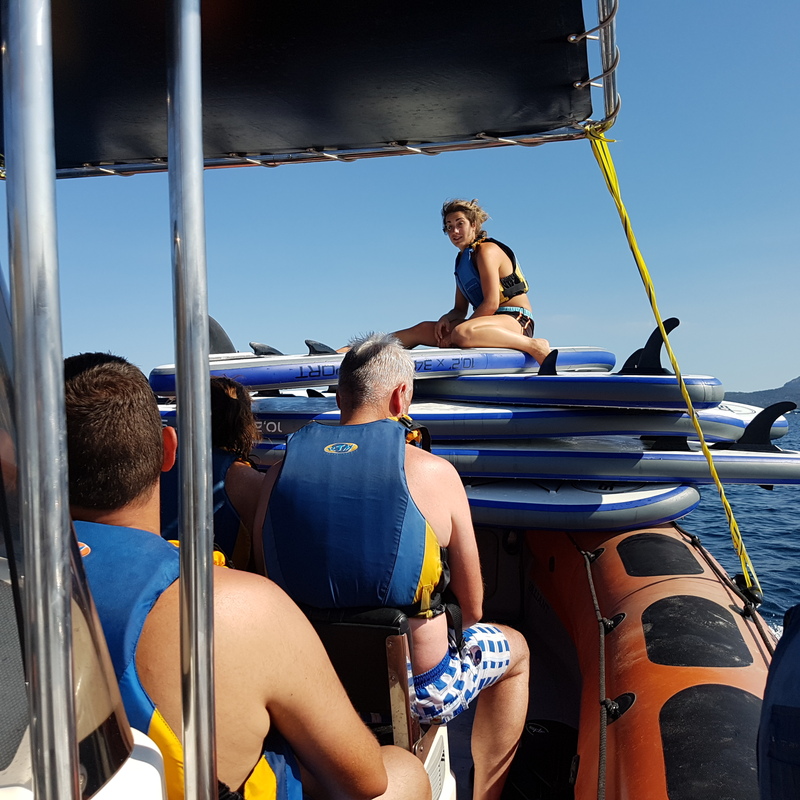 For ending the excursion, we do a dip, have a soft drink and come back. 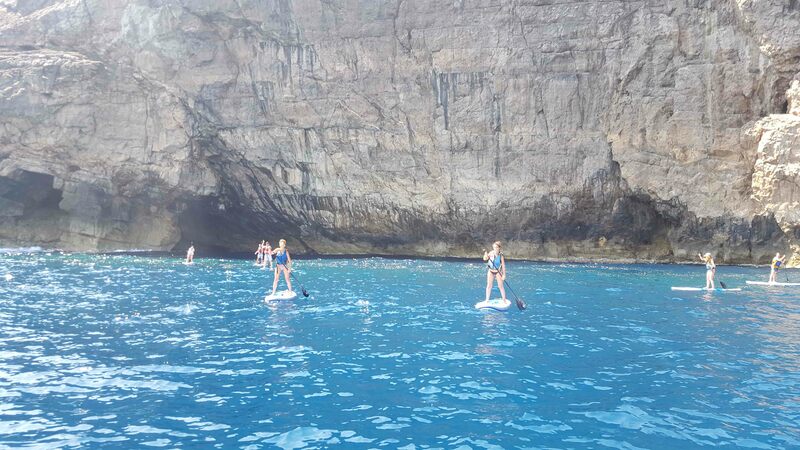 This is an incredible experience! 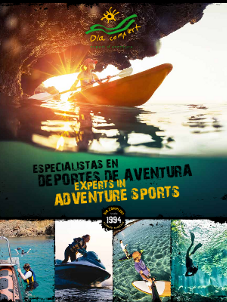 If you want to combine it, we have multiadventures packs and special packs for couples too. 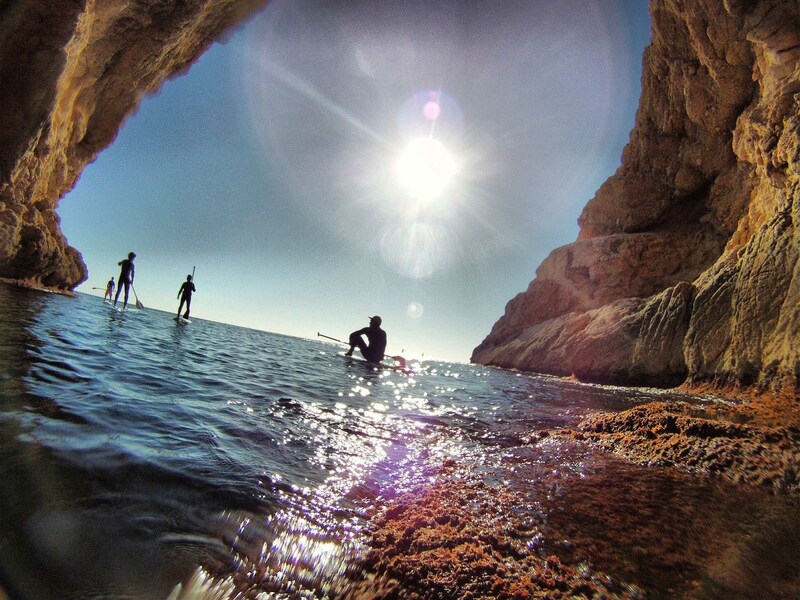 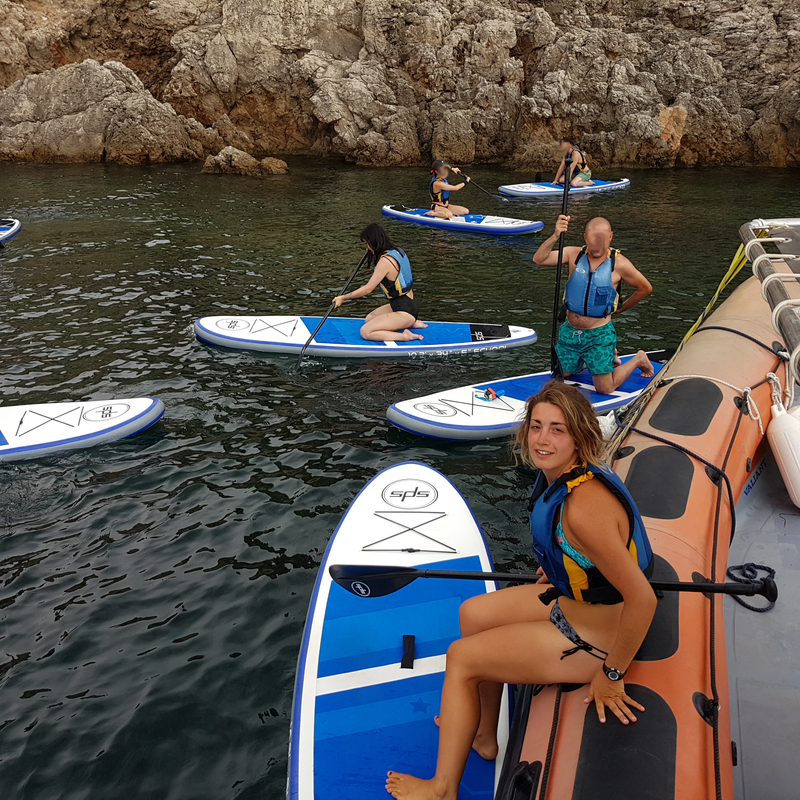 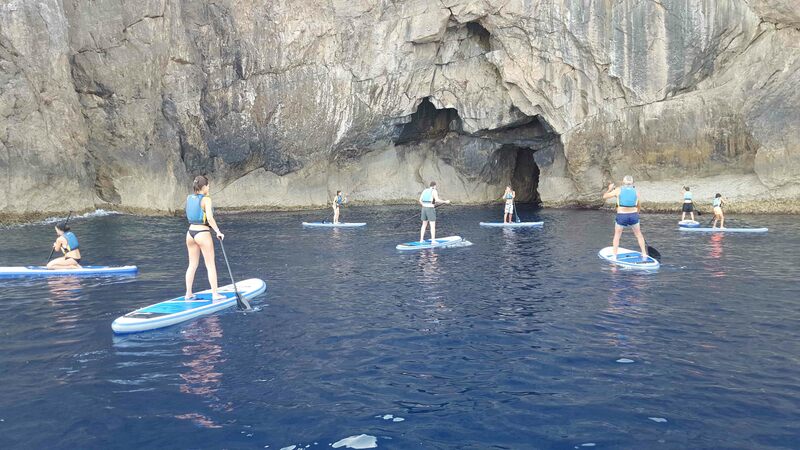 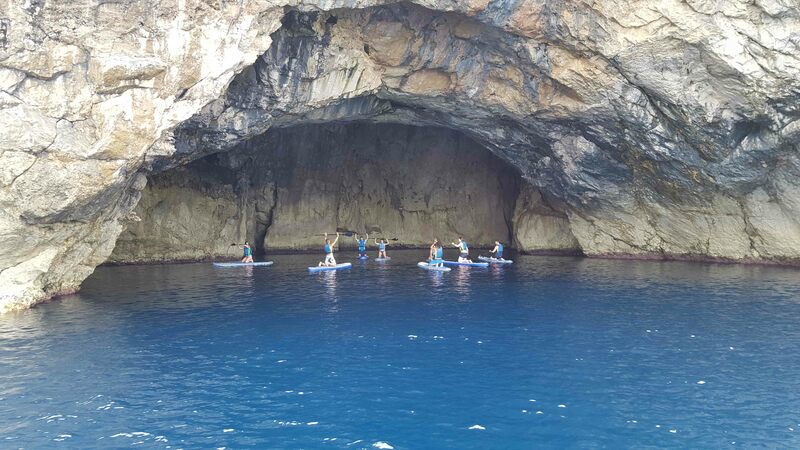 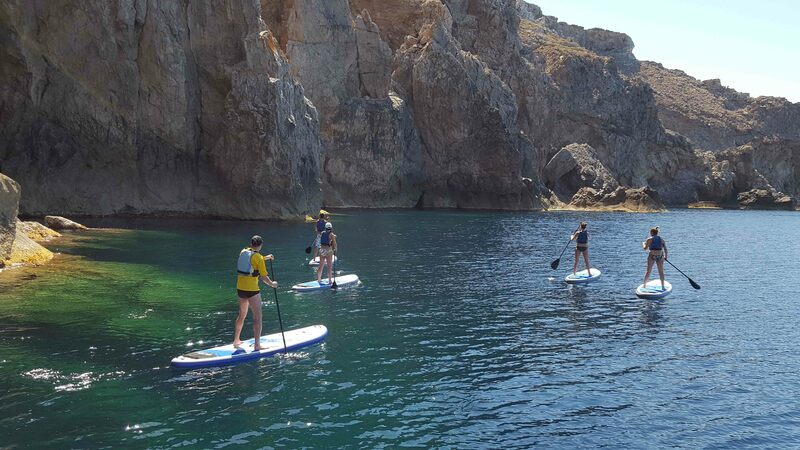 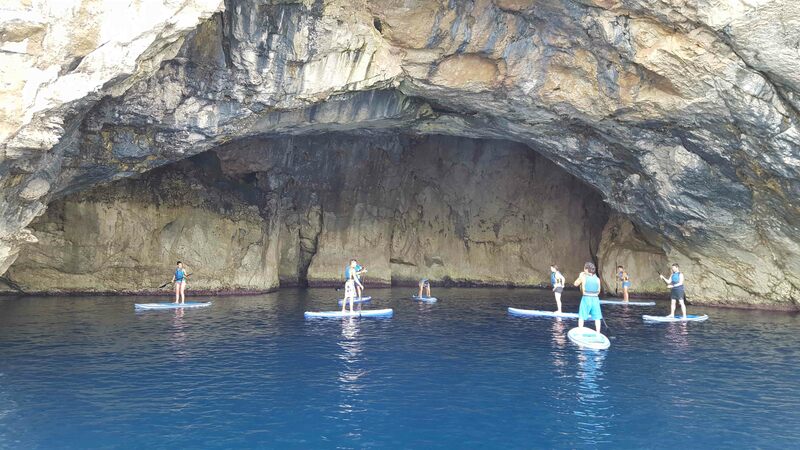 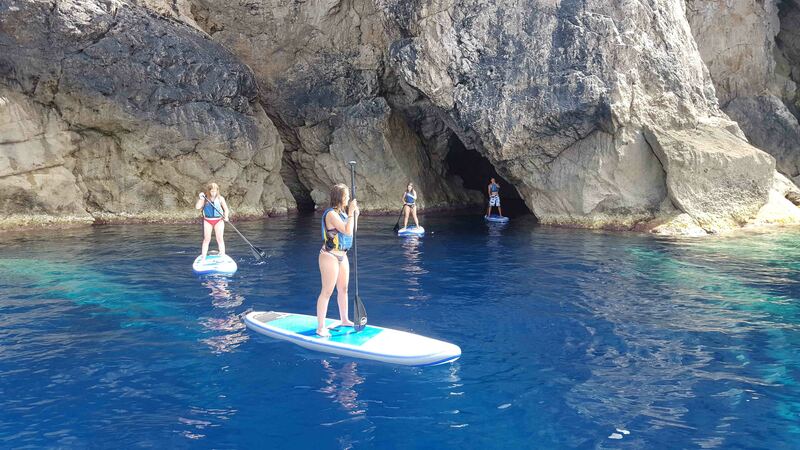 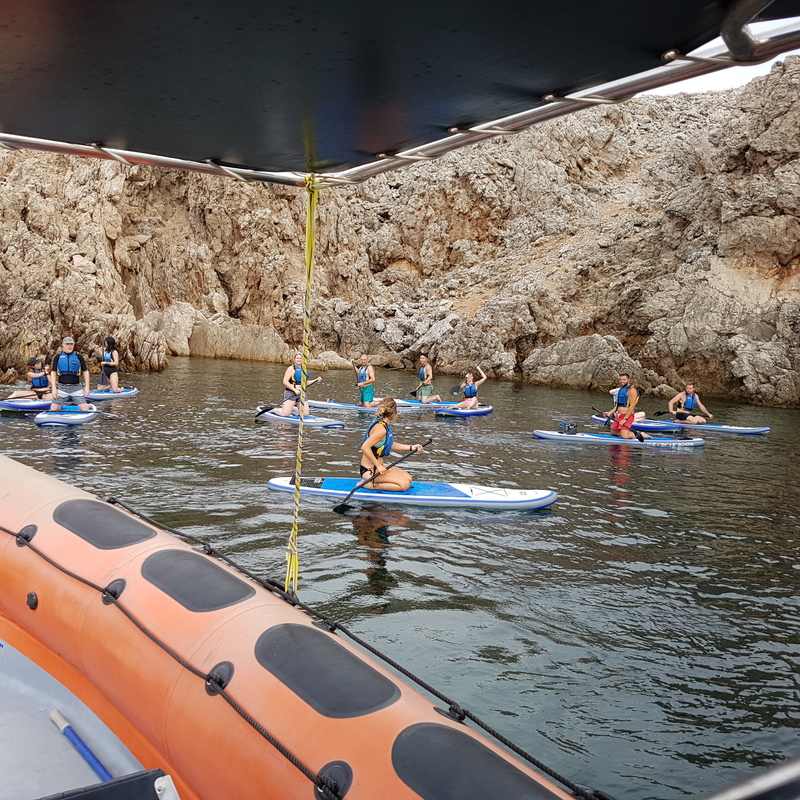 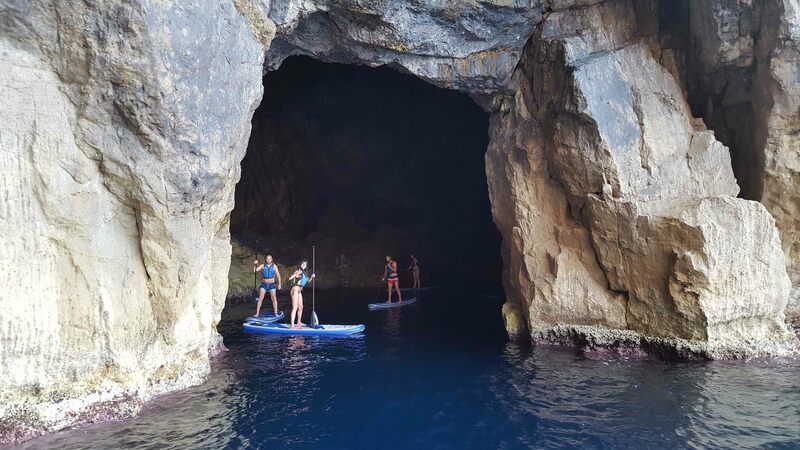 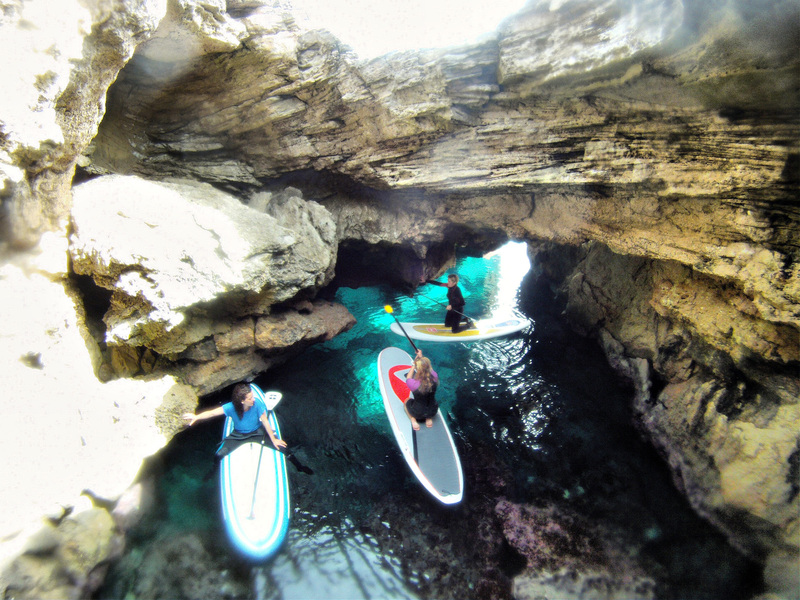 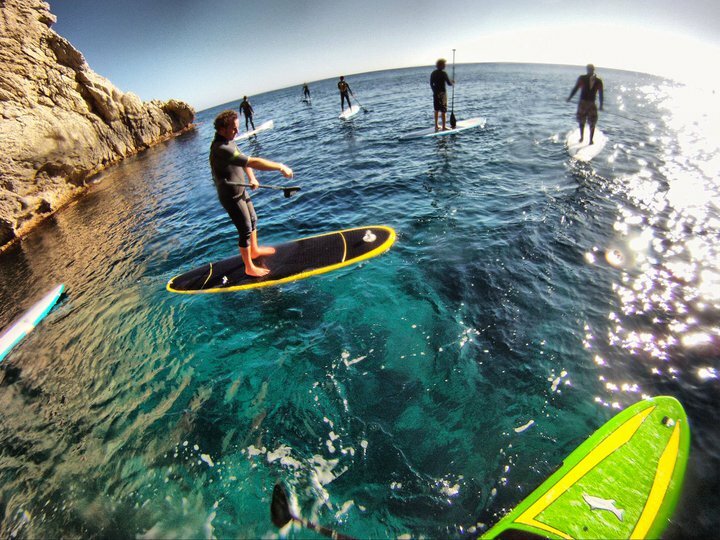 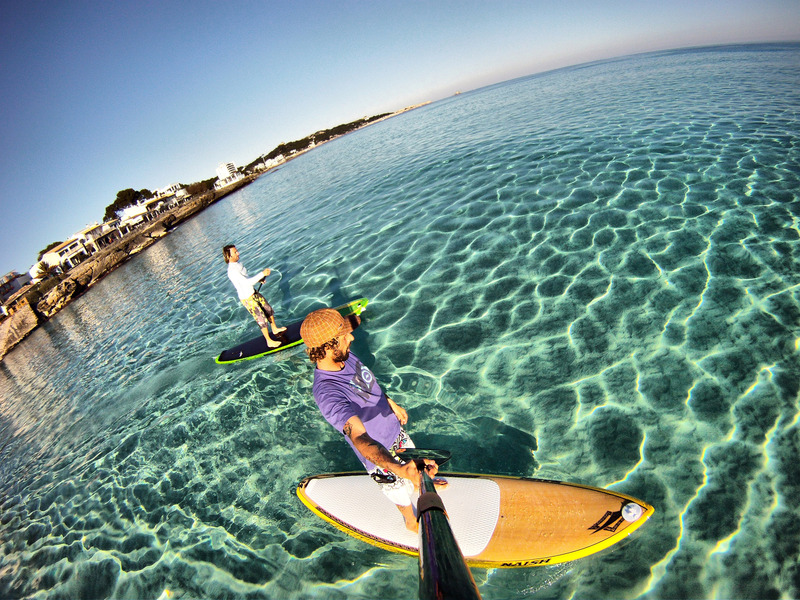 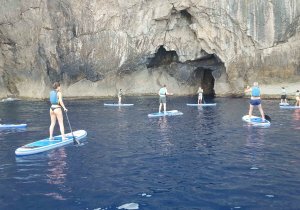 Paddle surf Menorca, is a recognized center by International Organization of Stand Up Paddle (IOSUP).